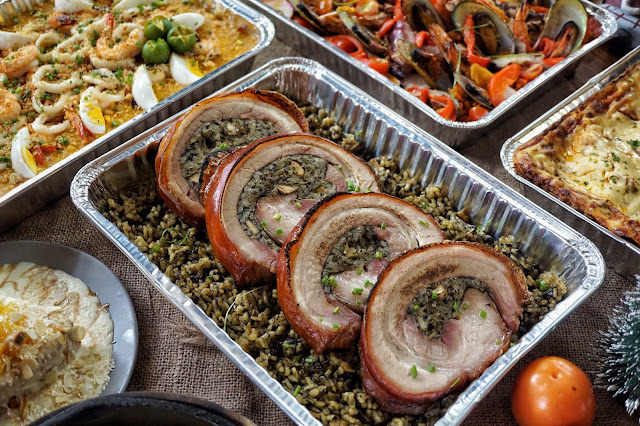 You know you're in the Philippines when the holiday season lasts for several weeks or at least until all the leftover and lechon are out of the fridge. And for those who still have potluck parties to attend to, there's this gem in Tomas Morato worth checking out. Empacho has been a favorite of mine ever since I had a bite of its kare-kareng bagnet. 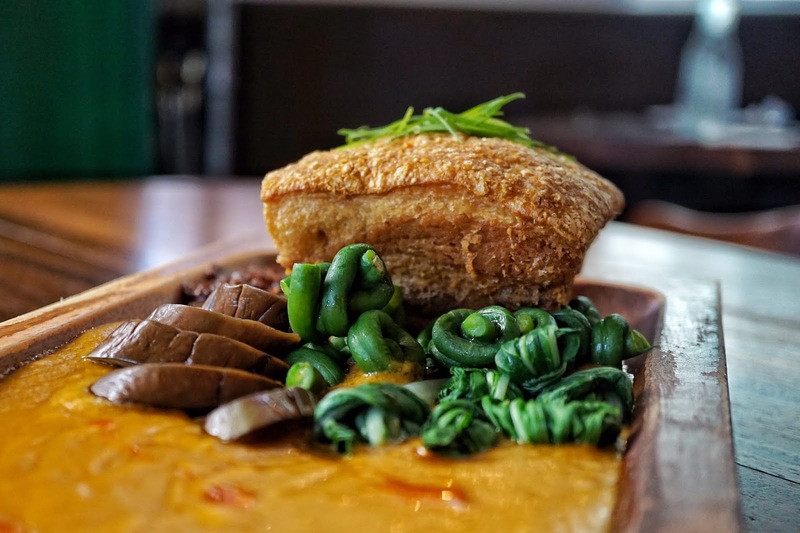 A mouthful of the crispy pork with thick peanut sauce would bring you to heaven. But Empacho has much more in store for us. Party trays! This perfect solution to minimize stress is more than just a time saver, it is made to impress. 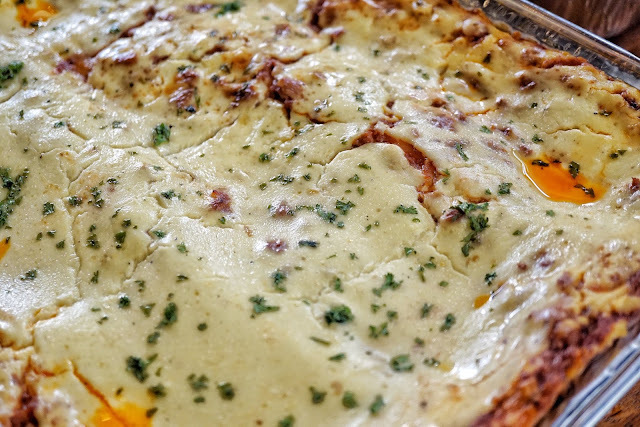 We started off with this chunky platter of Classic Lasagna (PHP1,500). Simple, no frills and reminiscent of the good ol' grandma's cheesy pasta. 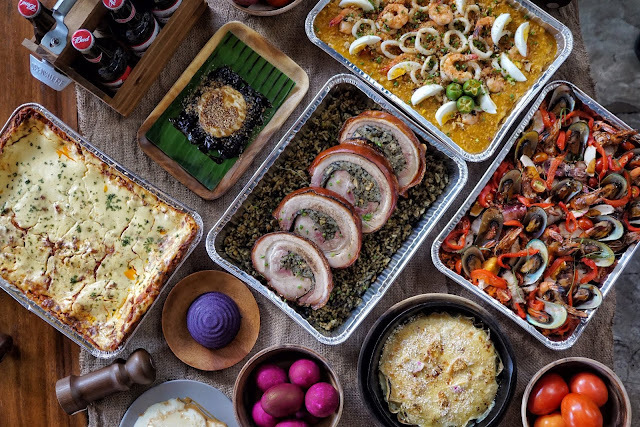 It is also quite sweet giving it that Filipino flavor. Empacho did not scrimp on Seafood Palabok (PHP1,200) as it is generously topped by shrimp and squid. 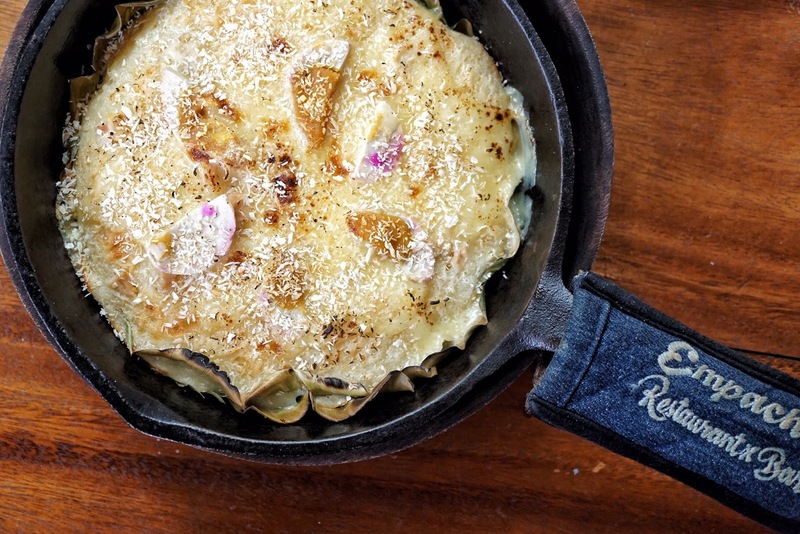 Each forkful is packed with textures. 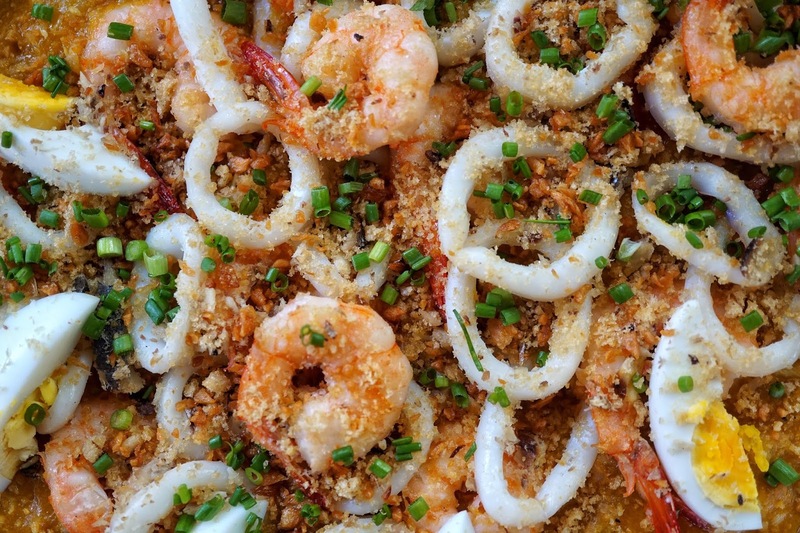 It is best to enjoy this with lemon or calamansi for that citrus kick. If you want something even heavier, Lechon Stuffed Truffle with Laing Rice (PHP1,650) and Inihaw Seafood Paella (PHP1,750) are great options. 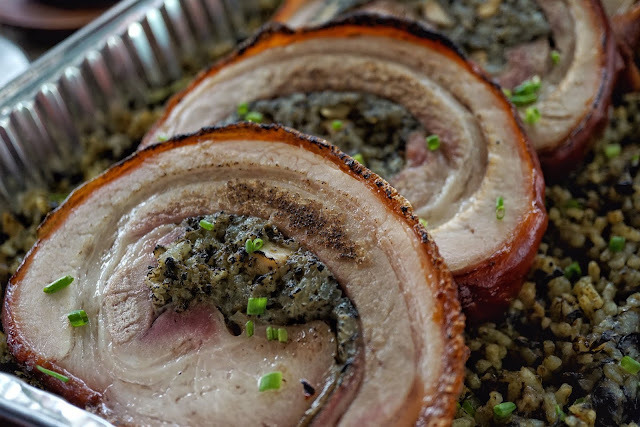 Pork lovers will surely love this crispy succulent meat. Though I could barely taste or get a whiff of truffle, it was still one of my favorites. Pairing it with laing rice made me feel less guilty. 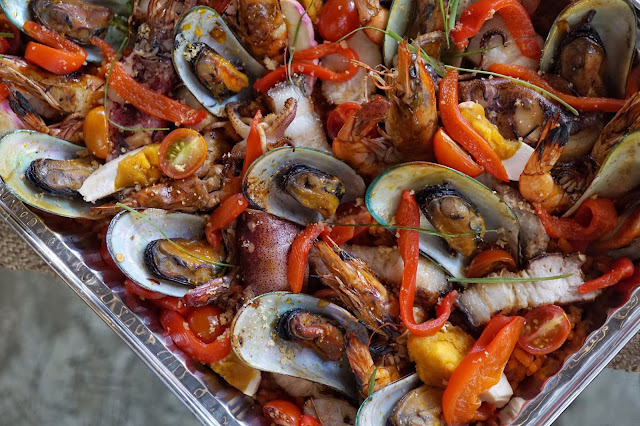 Inihaw Seafood Paella was not as impressive in the flavor department but it is a nice alternative for those who are not into meat. 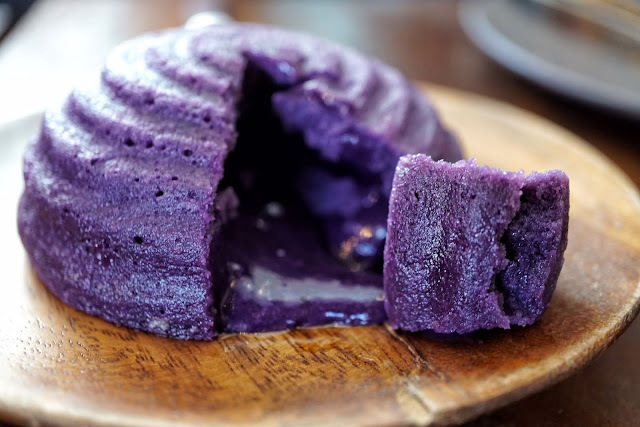 For desserts, we tried Ube Lava Cake (PHP150), Bibingka Cassava Cake (PHP225), Puto Bumbong (PHP150) and Mango Tres Leches (PH250). Best to have your Ube Lava Cake eaten as soon as it gets served for that nice ooze of filling. Ours waited for quite some time so the lava filling settled. Flavor-wise, it was rich but not something I'd crave for. I love bibingka and cassava cake so my taste buds went wild when I had a bite of Empacho's Bibingka Cassava Cake. I love the slight chewiness of cassava and it being topped with coconut shavings and salted egg. It is one brilliant dessert! 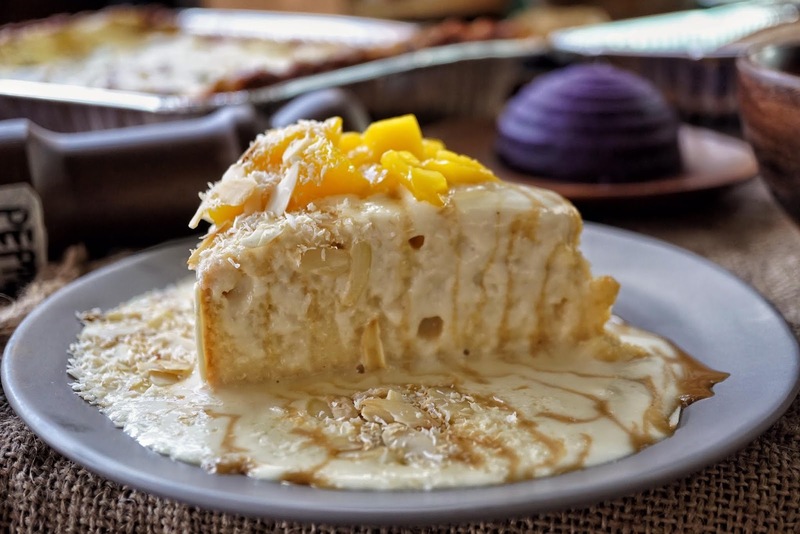 If you like your dessert sweet and milky, Tres Leches is the one for you. It is topped with mango bits for that slight fruity taste. But the spotlight is on Puto Bumbong. 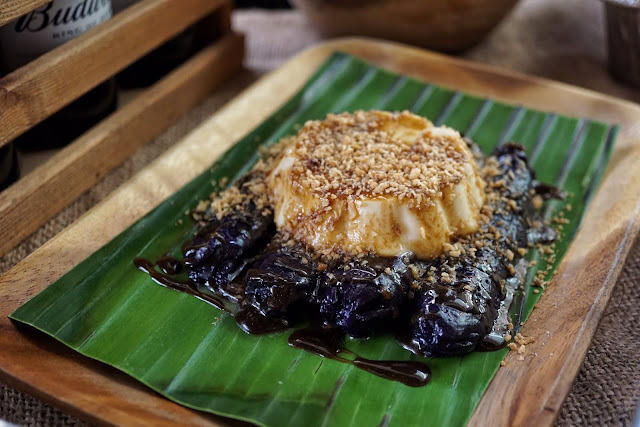 This staple holiday treat made with ube galapong topped with creamy coconut pudding and butter is absolute bliss. 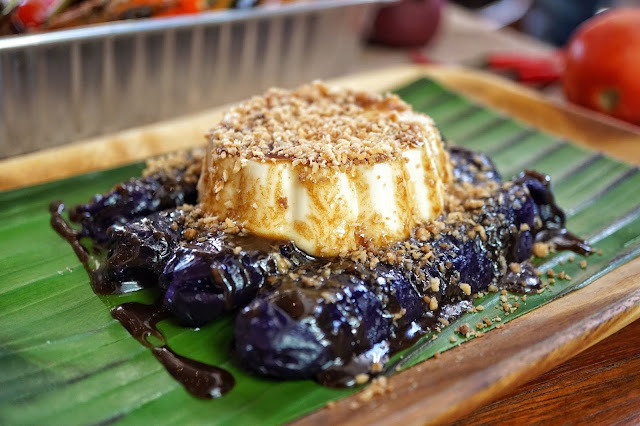 The sticky buttery ube topped with the silky smooth coconut pudding and shaved coconut is great! I'm just not sure until when they have these party trays available but better get some now! Empacho is located at 2nd Floor, 170 Tomas Morato Corner Don Roces Avenue, Tomas Morato, Quezon City.